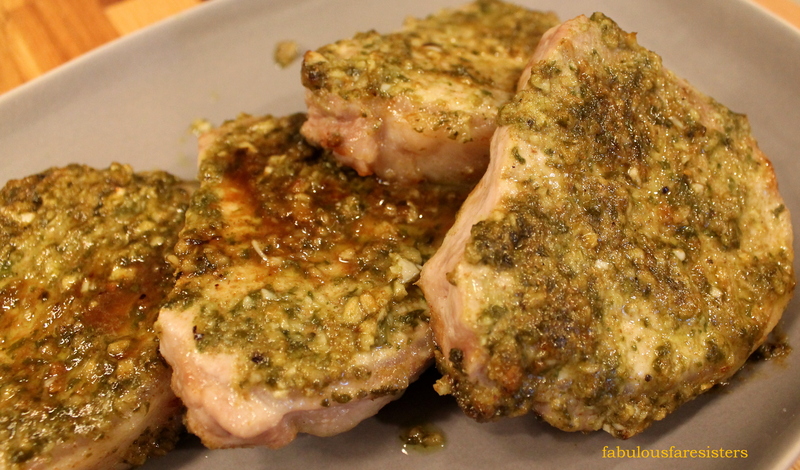 It’s great to pop something in the oven and walk away for twenty minutes and not have to worry about it…these Basil Lime Pork Chops are just that easy. The results are delicious. Enjoy! Heat oven to 400 degrees. Place the basil, garlic, cumin, coriander, salt, pepper, zest and juice of lime and olive oil in a food processor. Process until smooth. Rub marinade over both sides of pork chops. When temperature reaches 400 degrees place pork chops in the oven. Close the door and walk away for 20 minutes. Remove the cooked pork chops and serve with your favorite side. I served Zucchini Gratin alongside ours!